Want to search for available wi-fi networks quickly and easily from a Mac? Have you ever been on the road with your MacBook, MacBook Pro, MacBook Air, iBook or PowerBook and needed to find a Wireless access point quickly to send a quick email, post an important blog entry, or check the latest news? 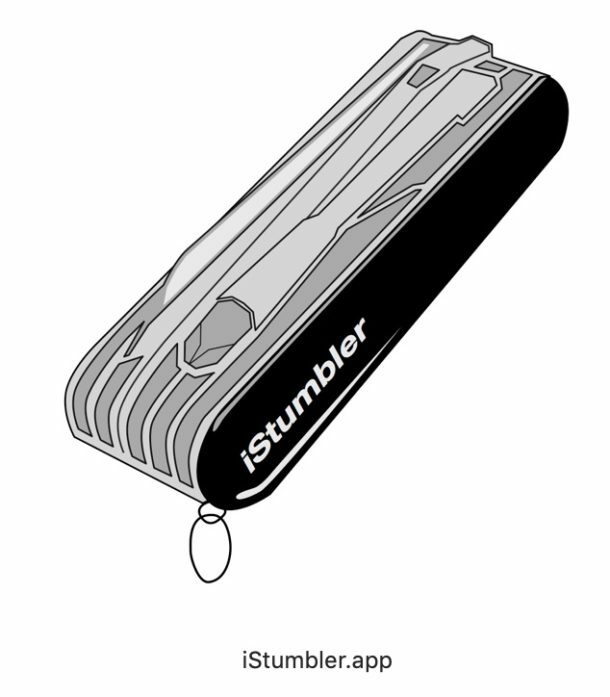 Me too, and if you don’t have it already – you need iStumbler, because it will make this task much easier. iStumbler is a very useful utility to scan available WiFi networks, Bluetooth devices, and Bonjour services, and it comes packaged in an attractive polished interface that screams Mac. It also is smart enough to give you signal strength and other information useful for choosing what network to join – all in one place! You can download a trial version of iStumbler from the developers website, or you can jump right to the Mac App Store and get the full version. Just open the app and let it find wi-fi networks nearby to you, it’s that simple! Once you find a good network, or an open network, you can join it as usual. Of course if it’s password protected you’ll need the wi-fi password, but most hotels, restaurants and coffee shops provide the wi-fi password to customers. And isn’t this iStumbler icon cool? They changed it from the original version but it’s still quite nice. Oh and by the wya, if you’re a heavy command line user and want a wi-fi finder and much more, than get nmap for Mac for a lot of power user tools and huge capabilities. Of course nmap is command line though, so if you’re not comfortable with the Terminal than using iStumbler or the wi-fi diagnostics tools on Mac may be a better choice. Anyway, enjoy your wireless networking! Where’s the Win32 version so normal people can use it? Both your comments make no sense at all. Now..
Could someone recommend a good Windows program similar to this? So the less fortunate of us can grab some free wifi. Yeah, why do they bother like this is new or something? I dont use either win or mac, and I have many network tools that will show me strength of netowrks. Back in the day, like 4 years ago, sure, netstumbler was interesting, you can even add a gps feature to it. But now days isnt this just included with the os or the network card driver (when using winblows?). I mean come on, this is old hat. I remember downloading 100 windows shareware programs and maybe keeping one. The mac programs were almost all keepers. Went to show you how progams were thought out for fuctionality. I need keygen\crack\serial\reg\patch\key for program Thanks. Apple TRS-80 Color is the BEST!!!!!! The TRS-80 was not from Apple, it was from Tandy, which has since become RadioShack. Since, this a Mac OS X program, I’m guessing no one cares about weather you use Windows, Linux, or *gasp* Commodore. Does anyone actually use this? or can attest to the programs ability to detect networks? I use KisMAC. http://www.kismac.de That’s better than iStumbler. It got the unlikley nickname of “Trash 80”. Just a play on its name. dude.. what the hell? seriously, chill. Can someone give link to rapidshare\etc site for the crack???? Also is there win\linux version for normal people and not computer newbies using macs? Yuri, anybody who asks for a win/linux version of a *Stumbler prog probably shouldn’t be accusing others of being computer newbies. why is anyone not using mac looking at this? is a very useful utility to scan available WiFi networks, Bluetooth devices, and Bonjour services, and it comes packaged in an attractive polished interface that screams Mac. It also is smart enough to give you signal strength and other information useful for choosing what network to join – all in one place!